Our company is a leading provider of upholstery cleaning services in Dulwich SE21, London. Our professional cleaners are here to help you seven days a week. If you want to have all of your furniture cleaned in a professional manner with the appropriate cleaning products, you can completely rely on our upholstery cleaning that will help you to restore their nice condition in an easy way. You can easily find us in Dulwich during the week and at the weekends and we promise you that we will clean all of your furniture in a really professional manner. Our upholstery cleaning includes different cleaning procedures, all of them carefully implemented by our team of experts. Even if you think that your sofas and furniture are in poor condition and no longer appropriate for use, Cleaner Dulwich can help you in that situation because we have a lot of experience in that field. 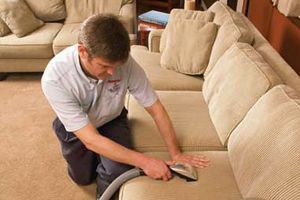 We have come across many situations and we assure you that in Dulwich we are the right choice for upholstery cleaning. To be fully helpful, we offer our services 7 days per week and in convenient hours for the customers. Apart from the traditional cleaning procedures we can offer you polishing of the furniture that will definitely refresh its appearance. We will come with a special equipment that will be included in the price for the upholstery cleaning. You can see that we have included diverse cleaning procedures that will guarantee the excellent condition of your furniture. Our team of experts can clean all the stains and dirt that could not be removed in the normal way, by using special detergents that are all chemically free. We won’t damage the surface of the sofas and chairs, all we will do is to clean them in a really professional way. The unpleasant odours won’t be a problem for our cleaners – we have chosen special deodorizers that will remove all the smells that bother you. We have not put any additional charges for the upholstery cleaning and we have decided to set up reasonable price for this cleaning service in Dulwich. Apart from this, for our customers we have created suitable call centres that will also have great working time. Hurry up and ask all of your additional questions without any hesitation – we are awaiting for your phone calls.